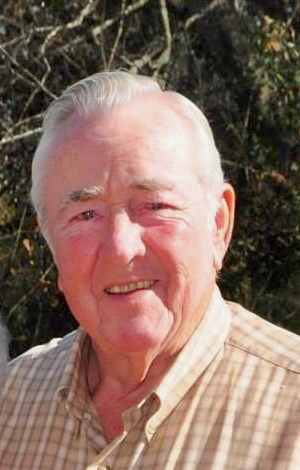 Philip Newton Huff, 85, passed away Monday, February 4, 2019. Born in Wilkes County, Georgia he was predeceased by his parents, Samuel Watson Huff and Agnes Hopkins Huff, and brother, Statham Huff. He was a member of Danburg Baptist Church and past chairman of the Board of Deacons. He most recently attended Forest Heights Baptist Church in Athens. He served in the United States Navy, Korean War, on the USS Franklin D. Roosevelt; retired from Westinghouse in Athens; and was a member of the Scenic R/C Flyers, Statham, Georgia. Survivors include his wife of 56 years, Mae Dell Wolfe Huff; sister, Samille Branham Sherrer; mother-in-law, Mazel Wolfe. Nieces and nephews include Agnes Branham Hayden, Edward (Terri) Branham, Ray Branham, Eddie (Ivy) Moore, and Lin (Troy) Land; and great nieces and nephews as well as two great-great nephews. A memorial service will be held Friday, February 8, 2019 at 2:30PM at Forest Heights Baptist Church, in Athens, Georgia with visitation from 1:30 to 2:30PM. A second service will be held Saturday, February 9, 2019 at 2:30PM at Danburg Baptist Church, in Danburg, Georgia with visitation from 1:30 to 2:30PM. In lieu of flowers, memorials may be made to Danburg Baptist Church Cemetery Fund, c/o Sherri Bowers, 5761 Danburg Road, Tignall, Georgia 30668. Lord and Stephens - East is in charge of arrangements.